Rəsul Quliyev – Rasul Guliyev Promoting and Securing Democracy and Human Rights in Azerbaijan; Writing and Speaking out Forcefully Against the Dangers of Resurgent Dictatorships in the Former Soviet Republics. 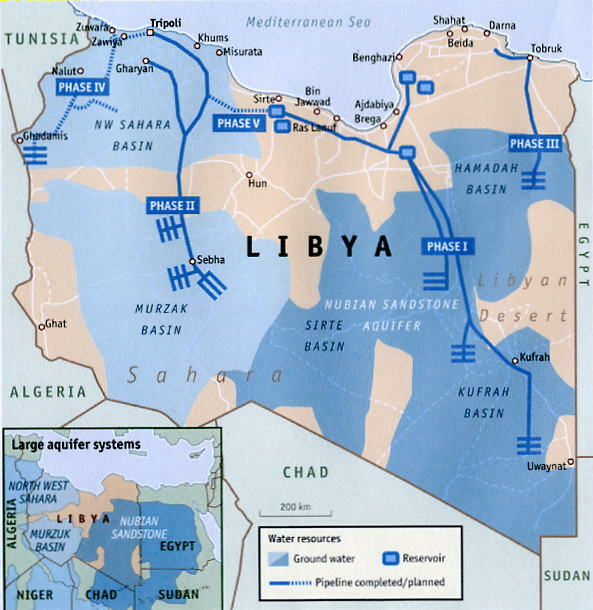 Libya – a country drowning in the blood of the revolution – shares two obvious features with Azerbaijan: oil and dictatorship. Aside from these similarities, the differences between the two countries are vast. And yet no amount of differences can support the belief, held by some, that what happened in Libya could never take place in Azerbaijan. On the contrary, the differences between the two countries only increase the danger that the Libyan scenario could repeat – and this time, be even bloodier. The picture is quite clear. 3. Personality and outlook of the founder of the dictatorship. Let’s compare Libya and Azerbaijan from these three perspectives. First perspective: When Libyans rebelled against their government in March of this year, their standard of living was twice than that of our population. It remains just as high today. We can see this clearly if we consider the fact that this country with a population of 6.5 million has a budget of 32 billion dollars: twice the size of the budget of Azerbaijan! To grasp the difference in the standard of living of the two countries, we simply have to compare Libya’s budgetary expenditures per capita with those of Azerbaijan. While each Libyan’s share in his or her country’s budget is 5,000 dollars, each Azerbaijani gets only 1,600 dollars. Second perspective: Libya’s level of corruption and bribery could never compare to that of Azerbaijan. Our country’s leaders pocket at least 10 dollars from each barrel of oil extracted in Azerbaijan, and at least 50 dollars from each 1000 cubic meters of natural gas. This is nothing short of highway robbery. If we consider that each day Azerbaijan contributes 800 thousand barrels of oil and 30 million cubic meters of natural gas to the world’s production, the amount of money stolen daily from the people of Azerbaijan in the oil and gas sector alone hovers in the neighborhood of over 11 million dollars. Simple math will show that 4 billion dollars a year is leached from this sector alone into the President’s accounts (80 percent) and the accounts of two or three other people. In addition to oil exports, domestic sales of oil and gas, especially petroleum, electrical power, etc. accounts for another billion public dollars stolen by the government. But rather than a few key figures, the domestic market is infested with over a hundred thieves who prey on the Azerbaijani people. The funds are redirected from this sector in the form of bribes. 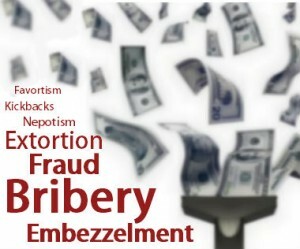 Sizes of these bribes are permanent, unrelated to the actual production levels. This adds up to between 4.5 to 5 billion dollars – money made using the country’s natural resources, which supposedly belong to the people – that settle in the pockets of a handful of functionaries. The Azerbaijani government perpetrates this robbery using a cadre of bureaucrats created for this very purpose, an artificially created monopoly, inflation, trade, and contracts. When it comes to the country’s budget, this plunder takes place on an even bigger scale. Bureaucrats walk away with 30 cents from every budgetary dollar earmarked for the ministries. This means that at least 5 billion of the 16-billion-dollar budget ends up right back in the pockets of the functionaries. 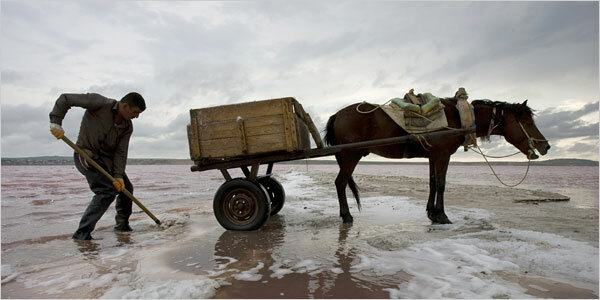 The real owners of this money – the people of Azerbaijan – never see a penny of it. Year after year, each Azerbaijani unwittingly hands over 1,000 dollars to the government. And each year, government representatives, from a rank and file police officer and public prosecutor to the President himself, use this involuntary present from their people to build luxurious houses, buy villas for their descendants studying abroad, and book up entire restaurants where they spend thousands of dollars on debauchery. Today, the President alone spends billions to build palace after palace. And all through this plunder, they look down on regular citizens – especially refugees and migrants. It’s even easier to calculate the share of the country’s budget pilfered from individual spheres: from money spent on police uniforms, weapons purchases, school and highway construction, and municipal repairs. Third perspective: The course of human history is filled with dictators, but few of them are still remembered today. The figure of Hitler, whose dictatorship lasted 12 years and who died 65 years ago, is etched in our consciousness. But although tyrannical dictator Francisco Franco held on to his rule for 40 years, 35 years after his death he is all but forgotten. And over 50 percent of our population has never heard of Brezhnev, who ruled the country for 17 years. If the past is any indication, history remembers only those dictators who were focused on social development and willing to mow down anything that stood in its way. History has no place for dictators who built totalitarian regimes simply to feed their personal ambitions, driven by greed and avarice. 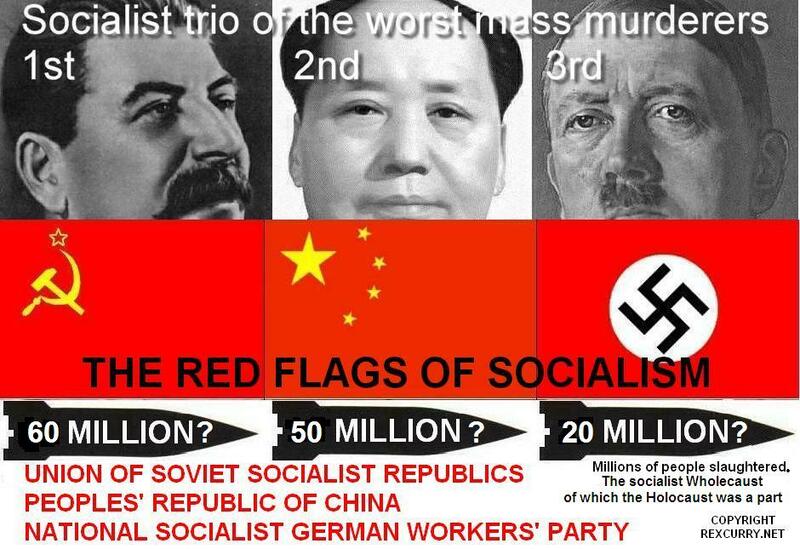 National-Socialists Hitler and Mussolini, Communist Stalin, Mao Zedong with his “reasonable evolution of Communism” – these men were true believers. They led ascetic lives, and information released after their death showed that they had no personal wealth: no money and no property, despite the fact that they wielded their countries’ budgets to implement their ideas and enjoyed vast privilege as political leaders. Until his death in 1938, Mustafa Kemal Atatürk governed his country as a dictator. To reach his goal – Europization of Turkey – he spilled the blood of tens of thousands of people. And yet history remembers him not as a bloody dictator, but as a man who saved Turkish statehood. I’m positive that Libya’s dictator Muammar Gaddafi will soon take his place among people like Hitler, Mussolini, Stalin, and Zedong, because much like them, he was driven by an idea. 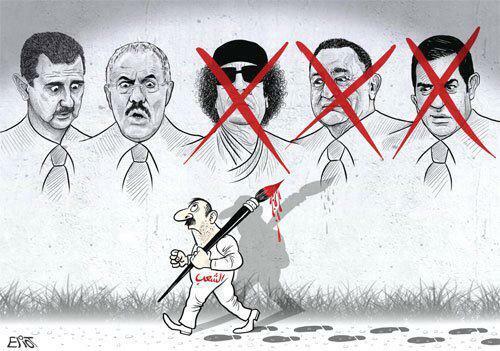 And much like these other dictators, his legacy will divide opinions. Gaddafi made his grab for power in Lebanon while Shah Idris was undergoing medical treatment in Turkey. Once again, it all started with Benghazi. Gaddafi was a well-educated young man who studied the military arts in Libya and England. He can confidently be labeled an Arab nationalist; and he spent the entire duration of his rule, from the day he came to power and to the day of his death, trying to unite all Arabs under one state. He even managed to get within earshot of his goal: thanks to his efforts, Libya signed pan-Arab state agreements with Egypt, Tunisia, Algiers, Syria, Morocco, and other countries. In his three-part treatise The Green Book, Gaddafi outlined what he called the Third International Theory. He bulldozed over the theories of Karl Marx and Adam Smith, dismissing the electoral process, parliamentary government, and referendum-based constitutional amendment process as “another form of dictatorship”. In its place, he formulated his own State of the Masses – the Jamahiriya. Gaddafi’s new ideology declared labor relations based on exhausting work and employment illegal and demanded that every citizen have his own home. In the 1970s and 1980s, this lay the groundwork for construction of 180 thousand apartments, which became home to 80 percent of Libyans. It took mere 10 years to complete the distribution of this free housing. As a result of this policy, Libya’s population grew from 1.9 million in 1970 to 6.5 million in 2011, and life expectancy rose to 76 years, reaching European levels. And all this, in a country where temperature routinely jumps past 120° F (53° C). The desert accounts for 97 percent of Libya’s territory. In recent past, 80 percent of the country’s population still led a nomadic existence. And yet, in the 40 years of his rule, Gaddafi managed to fill his Bedouin country with European-style cities. Today, 80 percent of Libya’s population lives in modern urban areas. Gaddafi’s Great Manmade River project is counted among Wonders of the World. And the ability to supply a country 15 times larger than Azerbaijan with fresh water is nothing short of a wonder: each day, artesian wells, built 500 meters deep using a complex network of pipes, carry 6 million 500 thousand cubic meters of water over 2,000 kilometers to bring it to Libya’s cities and villages. To put this in perspective, let’s consider the fact that the population of Azerbaijan, which is 10 times smaller than that of Libya, gets its fresh water from a total of 8,100 rivers, 24 of which stretch across over 100 kilometers each, including the Kura and Aras rivers. Education gets 30 percent of Libya’s entire budget – 9 billion dollars a year. Thanks to this sizable amount, the number of educated Libyans has jumped from 10 to 90 percent. Once again, we will put this in perspective by recalling that in the 15 years of their rule in Azerbaijan, the Aliyev dynasty has spent less than 30 percent of that amount annually on education. I must disappoint those who talk about the standard of Azerbaijani education, dreaming of the day it will reach that of Europe. That day is a long way away; and in fact, we lag tragically behind hundreds of Libyan and Tunisian professors who teach in the world’s most prestigious universities. This lag is most obvious when we consider the number of Azerbaijanis who seek medical treatment in the neighboring Iran. This is a clear indictment of Azerbaijani medical education. And yet we dare call Iran a backward country. Considering the sorry state of Azerbaijani medical education, how can we expect our nation to exhibit high levels of intelligence? How can we explain our national addiction to pathos? Azerbaijanis love to bandy about titles like “leader” and “renowned scientist”: every leader becomes a “Great Leader of the Nation”, and every well-known scientist turns into a “World-Renowned Scientific Genius”. Is that because Azerbaijan so sorely lacks this category of people that it has long lost any basis for comparison? Gaddafi never did figure out why he – the person who did so much to educate his people and give them free housing, who thought of himself as the Father of Northern Africa – remained unloved by his nation. 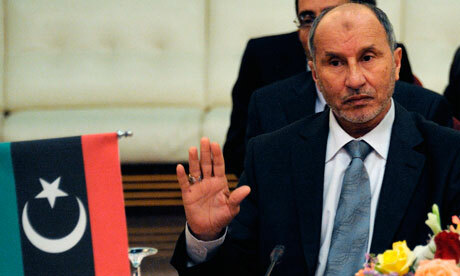 He couldn’t understand why Libyans continued to accuse him of corruption and tried to depose him. Unlike so many dictators, neither he nor any of his family members ever funneled their money abroad: there are no Gaddafi estates in England, Spain, and Dubai, and no immeasurable wealth hidden in foreign accounts. Most of Gaddafi’s money sat in his personal Libyan bank accounts, no secret to anyone; and in the last years of his life, he handed over control of part of his finances to his successor – his son Saif al-Islam. In the end, Gaddafi’s belief that his people had given him the mandate to spend this money as he wished, to use it to support certain regimes and build “the Great Arabistan”, remained unshakeable. The groundwork for deposing Gaddafi was laid in 2007. He was grooming his second son, Saif al-Islam, as his successor. To this end, al-Islam went to the London School of Economics, and even wrote a dissertation in 2008 titled ” The Role of Civil Society in the Democratization of Global Governance Institutions – From ‘Soft Power’ to Collective Decision-Making“, which discussed a smooth transition from totalitarianism to democracy. 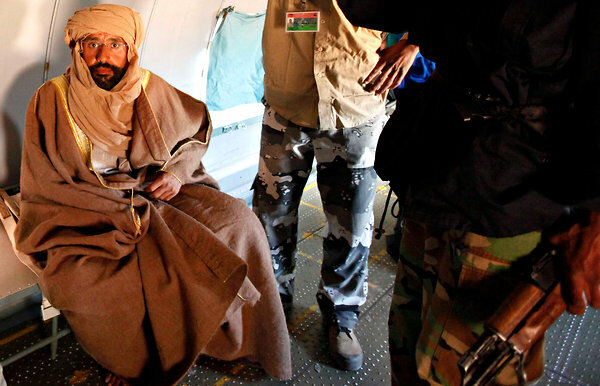 In 2007, Saif al-Islam asked Chairman of Libya’s National Transition Council Mustafa Abdul Jalil to nominate Mahmoud Jibril and other well-known figures to the posts of Ministers and Deputy Ministers. 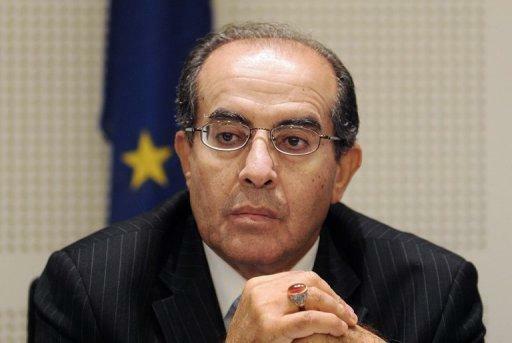 In 2011, Jibrili, one of the leaders of the rebellion, became Libya’s Interim Prime Minister and Chairman of the executive arm of the National Transition Council. Jibril also had foreign education: the scientist had studied in the United States, and worked as a reform consultant for dozens of governments, including the government of Great Britain. Under his leadership, the Council set to develop new policies for Libya. But Gaddafi wanted to see a specific start date for reforms. In early 2011, he treated Jibril with great skepticism, completely ignoring his recommendations and those of other progressive ministers. If NATO hadn’t stepped in, he would have doubtless gone on to exterminate them and reinstall the dictatorship: despite their key positions in the government, these figures enjoyed little or no support from the military. We must note that these key figures are highly intelligent and educated in the best schools of Europe. 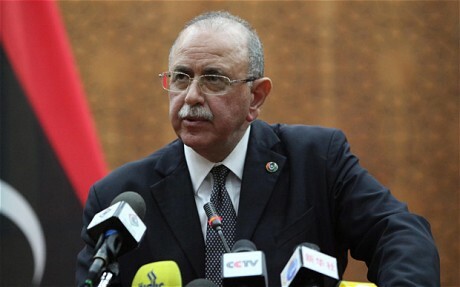 And the country’s current Interim President, Abdel Rahim al-Kib, was once a professor at an American university, having escaped Libya in 1985. The current political regime of Azerbaijan is worse than anything Libyans had experienced. The Azerbaijani government must treat the Libyan rebellion, which ended so tragically for the country’s dictator, and the earlier Iranian revolution which had put an end to the rule of the Shah, as fair warning. And yet, our leaders are still holding on to the belief that even if every nation of the world rises up against injustice, the people of Azerbaijan will remain silent. This is pure denial on their part. Just like nature, the human society has its own immutable laws: violence always begets hatred and contempt, and vengeance always gives rise to more violence. In recent years, we’ve seen how a medical condition called the War Syndrome affects veterans: after experiencing, and often causing, violence and death in wartime, these people remain prone to uncontrollable, ever-intensifying bouts of aggression even in peace time. Similarly, people whose rights are constantly violated tend to develop an increasing urge to violence, regardless of their belief system. As the government of Azerbaijan continues to ignore basic human rights, violates the Constitution, amasses more and more power, and refuses to peacefully give the people their due, the terrifying strength of the eventual response keeps growing. Today, the Azerbaijani people might seem broken and voiceless – but one day, they will rise up, just like their Libyan brothers and sisters, and demand restoration of their Constitutional rights, even if the price for this is blood. The Azerbaijani government is betting that the country has no leaders who could organize a rebellion and lead the people in a revolution. It’s betting that if it comes to violent repressions against the Azerbaijani people, the international community will turn a blind eye. And when the chips are down, it will lose on both counts. Today, Azerbaijani government has a perfect opportunity to turn the tide. Rather than wait for another falsified election in 2013, they must begin to build a better society today. Before it’s too late. P.S. Whether or not I continue to write articles on this subject fully depends on the readers’ reaction. I am ready to answer any questions on this topic. I welcome a productive discussion with government representatives and leaders of the opposition, as well as reporters on both sides of the “barricades”. Rasul Guliyev is the former Speaker of the Parliament of Azerbaijan (1993-1996) and is currently leader of the Open Society Party, one of Azerbaijan’s opposition parties. He is a passionate proponent of democracy. He actively participates in efforts to secure democracy and human rights in Azerbaijan, an oil-rich nation by the Caspian Sea and a former Soviet Republic. He writes and speaks out forcefully against the dangers of resurgent dictatorships in the former Soviet Republics. Mr. Guliyev resigned from his post as Speaker in 1996 to protest the human rights violations, censorship policies, widespread bribery and corruption, and anti-democratic policies of the Heidar Aliyev regime. Since that time he and his relatives and colleagues have been continually harassed by the government, now headed by Heidar Aliyev’s son, Ilham. 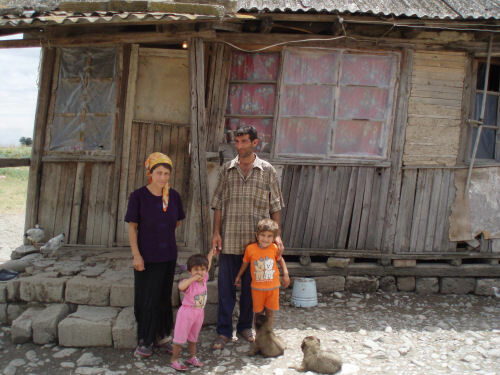 Mr. Guliyev and his family live in political exile in the United States. During the past several years Mr. Guliyev has devoted his efforts to writing political and historical books that reveal the realities of life in Azerbaijan today. His books have enjoyed widespread interest in the Azeri diaspora forced to leave their homeland because of political persecution. Millions now live across Europe, in Russia, and the U.S. Recently, when excerpts from his latest book were published in an opposition newspaper in Azerbaijan and the book began selling within Azerbaijan, the government intervened to halt its distribution. Mr. Guliyev has presented briefings to US policy makers in numerous forums, including those sponsored by the National Democratic Institute (NDI), the International Republican Institute (IRI), the Congressional Human Rights Caucus, the Carnegie Endowment for International Peace, and the Kennan Institute of the Woodrow Wilson International Center. He has testified before the US Congress’ Helsinki Commission (Commission on Security and Cooperation in Europe) on the issue of Elections, Democratization, and Human Rights in Azerbaijan. Government Service and Political Involvement Following a career in the oil industry (in 1992 Mr. Guliyev was named Vice President of SOCAR, the State Oil Company of Azerbaijan Republic), and with the advent of Azerbaijan’s independence from the Soviet Union, Mr. Guliyev became involved in the political process in Azerbaijan. He served as Speaker of the Parliament during the early years of independence but became increasingly disenchanted after former KGB General Heidar Aliyev seized power. Since the late 1990’s he has been a leading opposition figure and party leader. In 2005 he was his party’s candidate for the parliamentary elections, but was prevented from returning from exile to Azerbaijan to participate in the election process. In dramatic events, the government closed and sealed off the airport to prevent his plane from landing and arrested many of his supporters. Despite this, he garnered the majority of votes in his precinct – yet the authorities would not validate his victory in this election that international observers decried as marred with irregularities and falsifications. Two years later Mr. Guliyev co-founded the Open Society Party and was elected party leader. Since the 2008 presidential elections, the entrenchment of Ilham Aliyev’s power, and the growing reliance on Azerbaijan by the US, repression in Azerbaijan has increased. Journalists and American-educated Azeri bloggers have been arrested for talking and writing against Ilham Aliyev and his family. The office and home of a leading human rights activist was recently bulldozed by the government. This climate creates dilemmas for the U.S. government which looks to Azerbaijan for energy resources for the West and for cooperation with regional security needs. The next Azerbaijan presidential election will be held in 2013. Ilham Aliyev will be the leading candidate. The opposition in Azerbaijan has been crushed. And under Aliyev’s leadership and direction, the country’s Constitution has been amended to remove term limits and set the stage for Aliyev’s being “president for life.” It is in this context that Rasul Guliyev is renewing his efforts to remind and inform U.S. policy makers of the on-going repression and corruption that plagues Azerbaijan, and encouraging U.S. policy makers to speak out about these realities. Personal Rasul Guliyev is married to Elmira Guliyeva, formerly an oil engineer. He is the father of three and has six grandchildren. I was totally diassapointed when I was reading that little paragraph about M.K.Atatürk. Thousand of people spilled the blood to save their motherland from being divided among the European Powers. 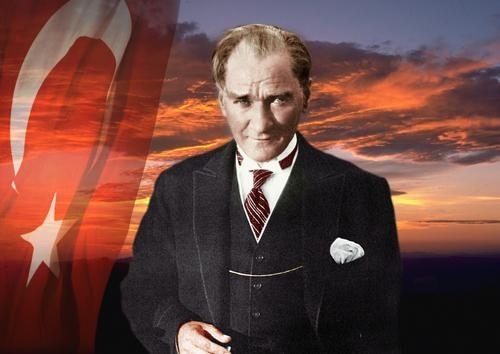 Without Atatürk, there would never be a country such as Turkey. He was not a “dictator”, and people are right for not considering him as one. He was a real hero, and a real patriot. Moreover, in my opinion, to compare him with Stalin, Hitler or some other “dictators” and to tar all with the same brush is an absolute nonsense. After reading and listening your latest interviews about your position in certain aspects I found some similarity with my own assessment. Have your people to contact me to find out if your ideas can gain any additional strength with my involvement.